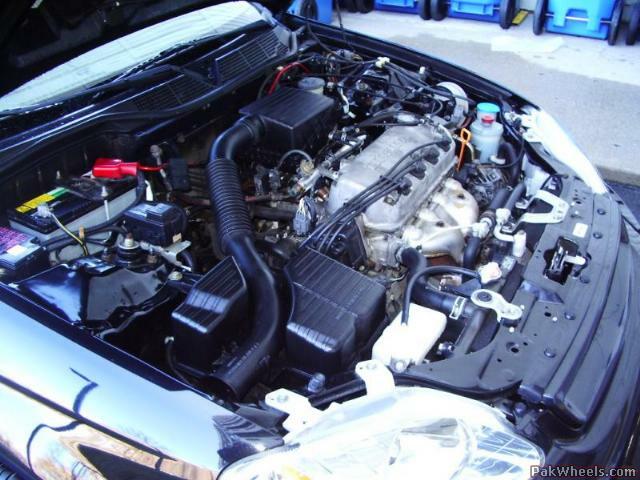 Engine area or the engine bay is often ignored when it comes to cleaning and washing the rest of the car. However, it is important that it is kept cleaned and free from dust and build up to ensure smooth operation and a clean look. 1) The engine should be cold so wait after u have driven. 2) Do it during the day and not in dark so u can see properly. 3) The car should be parked in a shade and not in the open. 4) Water connection and pipe, engine cleaner. 1) Once you’re ready, open the hood and secure it properly. 2) Do a visual inspection to see if there are any naked wires (where u can see the copper). If u find any, tape them so there is no contact with water. 3) Check for anything loose, battery tie down, batter terminals and anything that can move. Set the water pipe or spray to light pressure, we dont want alot of water at this stage. Just lightly wash all of the engine area with equal amounts of water, go slow, there is no rush and make sure all areas are wet. Don’t use more water on items that you just covered i.e. battery, etc. I am not sure if you buy a engine degreaser or cleaner in Karachi but if u can, that’s great. If u dont have anything specific available, get a rubber foam cleaner (anything that is general purpose). Don’t use surf or any household cleaners, they will cause more harm than good. Just spray the cleaner or the foam all over the place. Make sure each area is well covered with the solution (plastic, rubber and metal parts). Use even coats to make sure it gets there. Now just leave the hood open and wait for about 15 minutes. Go have a cigarette or call a friend. You have to give this time so that the degreaser in the solution can penetrate all the dust and grease buildup. Now set the water at a little high pressure and start washing the whole engine area. Just make sure all the solution is gone. Again, dont apply alot of pressure on areas that you covered. You will notice all the dirt is now going away. Do this for no more than 5 minutes because too much water is also not good. Inspect after you have rinsed and washed the engine. Look for spots where u still have dirt, you will find little nooks and corners which didnt get clean, use an old tooth brush and an old cloth. Remove the thelis over the battery, alternator and the dcap etc. This step only applies if u wanna go the extra mile. I always do this because it brings out the shine. After u have wahsed and checked everything…wait for around half an hour till all is dry. Take a detailer or a light wax and apply and clean the plastic and metal areas, make sure the areas are dry, then apply polish and clean them, you will see a beautiful shiny engine bay. Now stand back, enjoy and take some pics. Here are some photos that i took after i did mine a while back. You will notice that my engine was not dirty to start with cuz i clean it once every couple of months. Drifobia: Japan vs Saudia Arabia vs Pakistan! One can buy an engine degreaser and engine cleaner easily in karachi. there are products by Turtle Wax, Sonax, Bulls one, etc. The bay of all such items is Rimpa Plaza, M.A. Jinnah Road.